The European Investment Fund (EIF) and Bank Gospodarstwa Krajowego (BGK), one of AECM’s two members from Poland, have signed the first COSME transaction benefiting from the support of the European Fund for Strategic Investments (EFSI) through which the Investment Plan for Europe is being deployed by the European Commission and the EIB Group. 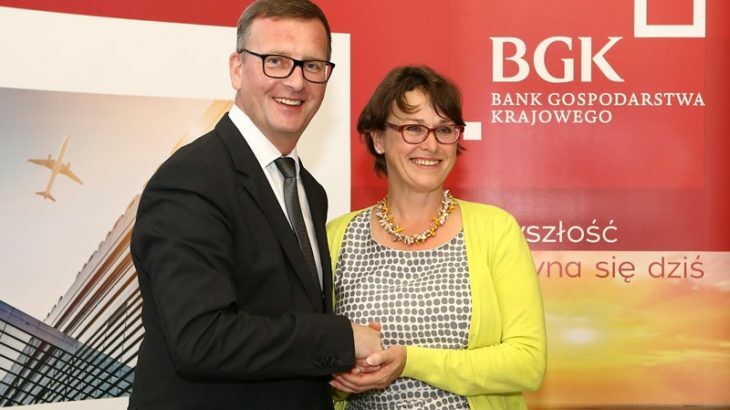 The agreement will provide BGK with a counter-guarantee allowing the organisation to support PLN 1,000 million (ca. EUR 250 million) of loans to SMEs in Poland over the next two years. The loans will be provided without hard collateral thanks to a 80% guarantee which in turn is backed by a counter-guarantee from the EIF, provided under the COSME programme with financial backing from the Commission. The agreement will make it possible for BGK to launch a new guarantee product and to support additional financing without requiring hard collateral (e.g. mortgage) at favourable conditions to approximately 5,000 SMEs. Just to recall that on 12 May 2015 the European Investment Fund (EIF) and Bpifrance, one of AECM’s three members from France, have signed the first ever financial operation under InnovFin to benefit from a guarantee under the Investment Plan for Europe. The EUR 420m funding operation will allow Bpifrance to support innovative French SMEs and midcaps over the next two years.